Lower Costs & Better Quality. We’re both the Agent and Land Operator. There’s no Middle-Man and our proprietary booking system alone replaces the need for costly overhead. Itineraries with Samson Power. We don’t believe in Cookie-Cutter Holy Land Tours. We build itineraries that are suitable for your faith, stamina and interests. Our tours are packed with important biblical sites that most people never get to visit! Refer Friends & Earn Points. We’re the only tour operator for Holy Land Travel that allows you to refer your friends and earn your way to a free trip. Visit the Points Program to learn more. This is a custom built tour for Pastor Woody Cumbie and friends of Lifepoint Church (Carmel, Indiana). 8 days/7 nights on land in boutique 4-star accomodations throughout. James & Susan Yates are leading this incredible experience to Israel in November 2019. Departs from Houston, TX on United Airlines. Rev. 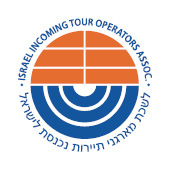 Krishna Seepersad (Orlando, Fl) is leading this 10 day/9 night tour on land in Israel. Anyone may join this tour. We have told our family all about our trip, and all about our new and great friends in Israel. We can honestly say that meeting you has not only increased our knowledge of Jewish history, our love of Eretz Israel, and our passion for Jewish solidarity but has also warmed our hearts as we have found people with which to share all of these feelings with. How lucky are we? Eitan, it was truly wonderful to meet someone who is originally from Florida and is as passionate about Judaism and Israel as you. It really increased my pride and my love of Eretz Israel and how much I would love to one day make alyah!